My humble request goes to all well-wishers around the globe. My friends father Sathish is currently surgery with “Liver”. Sathish is working in a private job. And his son and daughter just completed degree and searching job. 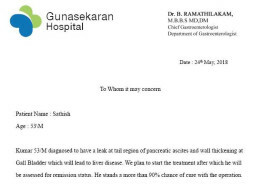 Now he needs all your help, support and blessings to overcome this huge hurdle of Liver operation. 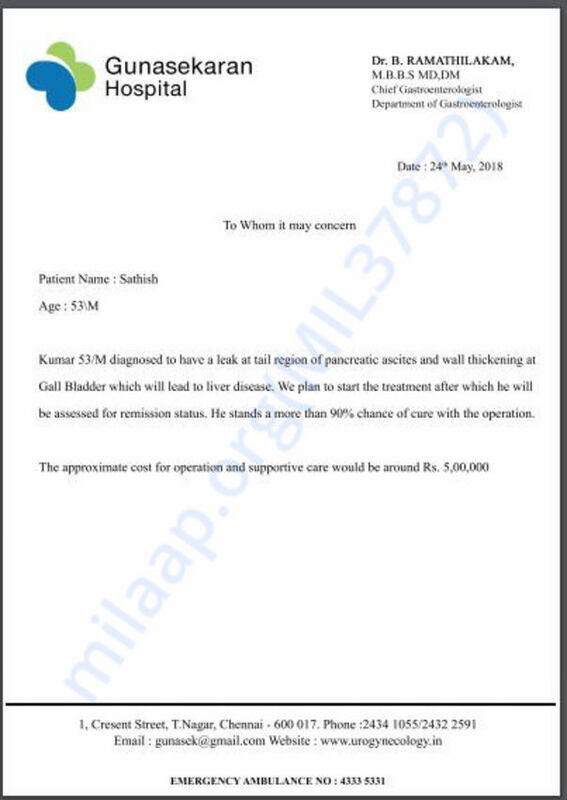 The estimated Pre- and Post-surgery expense for this surgery is coming to approx. Rs. 7-8 Lakhs with approx.5 to 6 months of recovery period. We also appeal to all well-wishers, who may be working or in connect with Not for profit or NGOs who could help for this cause. Both side of the family have spent all their savings and his Company provided insurance wouldn't cover all the expenses for the treatment & long-term care he needs. As his close friends, we humbly ask you from the bottom of our hearts to please help in any way possible. You patronage in this regard is highly appreciated.